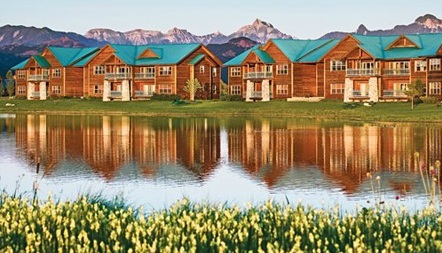 Enjoy 7 nights at Wyndham Pagosa in Pagosa Springs, Colorado! Bordered by 2.3 million acres of the San Juan National Forest, Wyndham Pagosa is a complete recreational community located in the mountains of southwestern Colorado. Tennis courts; a golf course; and a recreational center, featuring an indoor pool, a weight room m, games room, and racquetball courts, are all nearby. In winter, a daily shuttle to the Wolf Creek ski area is offered, fees may apply. Cross-country skiing with rental equipment is also available. The resort is at high altitude. Learn about high-altitude sickness to prevent the problems associated with this illness. Clean, spacious, and tastefully decorated, the units offer blissful sanctuary for you, your family, and friends. Almost as big as the great Colorado outdoors itself, you’ll want to savor your time here. Each guest is provided with one daily complimentary pass to the local recreation center which provides an indoor pool, hot tub, weight room & racquetball courts. Your 1 BEDROOM SUITE comes with a full kitchen or a kitchenette and will accommodate up to 4 people. The Following Check-in Dates are Available for a 1 Bedroom Unit! OR UPGRADE TO A 2 BEDROOM SUITE FOR ONLY $175 FOR THE WEEK! Your 2 BEDROOM SUITE comes with a full kitchen and will accommodate 6 or 8. The Following Check-in Dates are Available for a 2 Bedroom Upgrade!